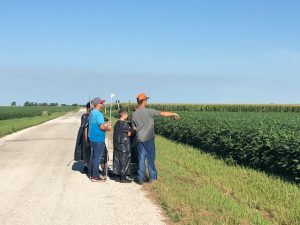 Promoting plant health in July! - Noland Farms Inc.Noland Farms Inc. 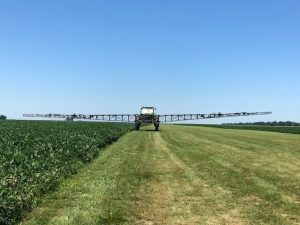 Promoting plant health in July! Adams Aerial Solutions has arrived to promote and protect plant health! 2018 on-farm research! 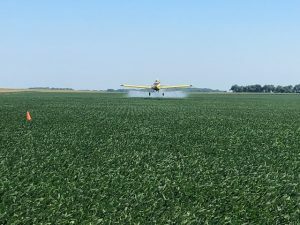 Ryan applying an additional, late season product application in soybeans along on runway. Case serving as team leader for the soybean walking crew of middle and high schoolers. 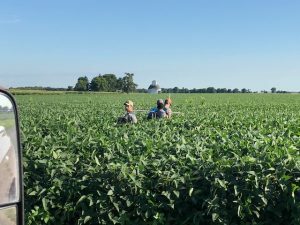 Walking tall soybeans in Macon County! 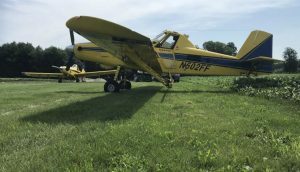 Final aerial pass on the March soybeans. They look great!